A conventional loan is a fixed mortgage for a 30-year period, from a lending institution like a bank or saving and loan. A conventional loan is based on an 80% – 95% loan to value of the property; the higher LTV (loan to value) is for owner occupant, and the lower for investor. PMI (private mortgage insurance) is usually required if less than 20% down payment is made. Like regular conventional 30 year mortgages there are other duration for the mortgage, the most popular is the 15 year fixed. Choosing this will result in a lower interest rate than the 30 year fixed, however because you are cutting the length of the mortgage in half this will increase your monthly mortgage payment, your principle will be higher too. This is the quickest way to building equity in the house aside from appreciation, if you can afford the higher payments. There is a biweekly mortgage (i.e. it is paid every 2 weeks). This will result in one extra payment per year, which will allow you to pay the mortgage off faster. It is possible to pay the mortgage off in 20 years instead of 30 with this mortgage. This type of mortgage will allow borrowers the option of cutting their interest rate when mortgage interest rates drop by a specific amount (usually 2 or more points) during a specified time period in the life of the loan. This type of mortgage will allow you to cut your interest rate with out going through a refinance and avoiding a resetting the mortgage period (live of the loan) without having to pay closing costs. Compare rates with a conventional 30 year when shopping, this may cost you a little more for the convenience of being able to lock in a new rate. Adjustable Rate Mortgage (ARM), unlike a fixed rate will have periods where the mortgage can adjust to a new interest rate. These mortgage are indexed and usually based on constant-maturity Treasury securities or the London Interbank Offered Rate (LIBOR). These mortgage can be great when the interest rates are stable or falling, but can be dangerous when rates are rising. Some of these programs will also provide a conversion feature to switch to a fixed rate, usually in the first 5 years. 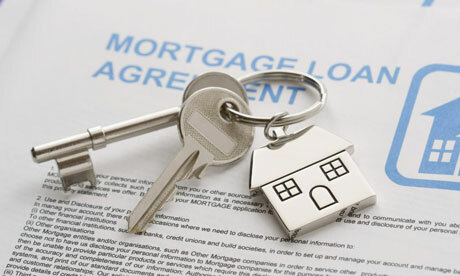 These mortgages are usually short-term loans, which can be either in first position or in second position. The may be amortized over a 30 year period, but at the end of the term will need to be paid in full, and thus the name balloon. These loans are used to borrow or unlock the equity that has been built up in the property. These lines of credit can be used usually throughout the life of the loan, but a maximum loan limit is set at the time the loan is secured. The maximum limit is based on the equity available at the time the loan is drawn up, backed by an appraisal. These lines of credit are available up to 30 years, usually a variable interest rate. It is not uncommon for the minimum monthly payment to be a just the interest that is due. Hard money loans are loans that are issued by private investors or through corporations. The interest rates are usually higher than conventional residential or commercial loans. The reason the interest rates are higher is because of higher risk taken by the lender. This is usually because the borrower is using the money for a shorter term as to finance a flip, or maybe the borrower has an unusual situation where they have been turned down by traditional lenders. The LTV may be lower also in the range of 60-75% of the value of the property. This mortgage allows the owner(s) to continue to live in the property while receiving monthly cash payments from the reverse mortgage company for the rest of their lives. The owner or at least one of the owners must be 62 years of age. Upon the death of the owners, the heirs will turn over the property to the mortgage holder or will have to refinance the property to purchase the property. The reverse mortgage company will have requirements that must be met, such as maintaining the property to a certain standard (e.g. roof is in good condition and not leaking).